I just want to let all my customers and potential customers; friends, what has been going on here. Soon after we opened our doors (around about March 2015) I became caught up in a domestic dispute with my wife. I moved out for a month or so, moved back and found it just wasn't really working. So I found housing near the VA where I get my medical care (I have congestive heart failure, among other things). Now I can kill two birds with one stone: We can take a break from our marriage and I am close to medical treatment, now (I was 3 hours away, before). Therefore, since I am now stuck in my new apartment without transportation to the post office, etc. I am ceasing the taking of orders at this time. I do have some stock left and would be willing to discuss the possibility of a sale or trade if you contact me at last-gladiators@last-gladiators.com. I hope to restart soon and in the interim, I will be posting some humor I created from old WWII (mostly German) pictures I found. I hope you enjoy it! I had a lot of fun making them and coming up with the captions, etc. Please continue to enjoy the site. 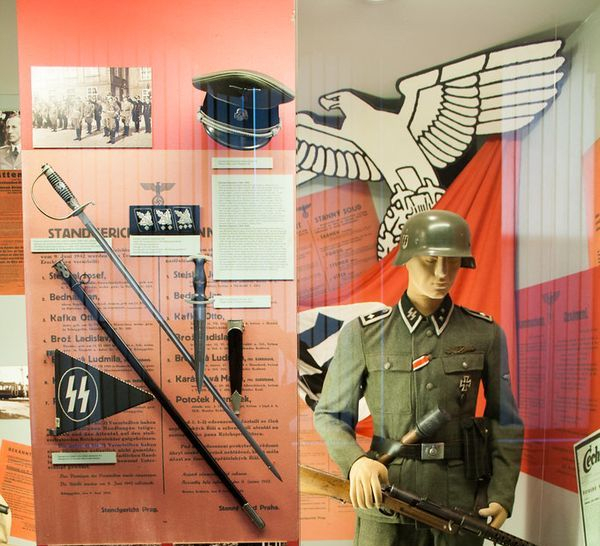 There are a lot of free pictures of a lot of WWII German/3rd Reich memorabilia, weapons, flags, uniforms, awards, papers and books. If you're like me it isn't about being a "Nazi", I just find most of the aspects of the Reich to be fascinating. I'll also be adding to the Reichshumor section, as I mentioned. It is just stuff I came up with when I saw these pictures throughout my life and I found amusing.